synthetic leather wears down in such an ugly way. Just a quick project again this week. My co-worker has taken her favorite purse out of circulation with her outfits because the straps were looking kind of jenkity. This is a super common problem with purses and acrylic material that I’ve seen before. I searched through an old box of belts from my Dad’s younger years and happened to have a real leather belt that matched the purse almost perfectly. Step 1: Remove broken straps. My first attempt at removal went poorly as there was an adhesive as well as big thick thread holding the straps in place. The seam ripper just didn’t do the job. I ended up pulling a filet knife out of my knife block to really cut through the stitches. And I didn’t even lose a finger! Step 2: Prepare new strap. As I said above, I found a great matching leather belt in my stash of old belts for just such occasions as these. I wanted to use a belt buckle on the strap just for aesthetics but we didn’t have anything that fit just right. So I went with plain leather. 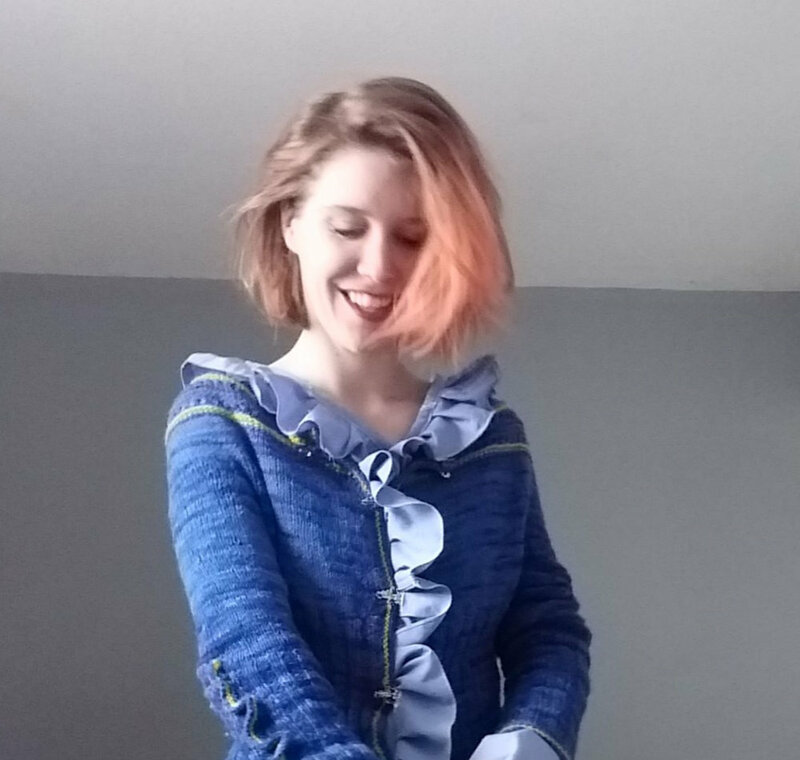 I cut it down to the desired length, making it long enough so that the purse can now be carried under an arm more easily and kept a forgiving extra seam allowance. Step 3: Sew the strap in place. The biggest help here was having a leather needle. Leather needles are super handy because they have sharp sides to help them cut through the leather. 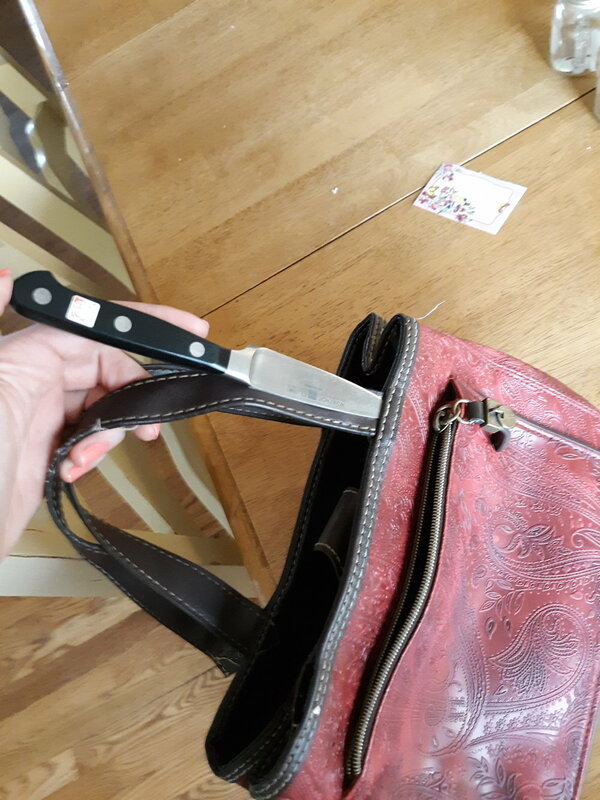 Even with this assistance however, I still needed to use a pliers and a heavy duty thimble to help me get the needle through the thick leather belt and the layers of synthetic material of the purse. You can see from the picture, I used several strands of thread to extra strength. Once finished, I also added some Gorilla glue to help keep things together and reduce strain on the threads. Step 4: Feel like a boss! Purse fixed and back in rotation. This is a seriously easy project that will make you love your purses again. I see damaged straps all the time and this is such a quick fix to save money too!